One of the greats, via poseable monster and Scott Crawford. 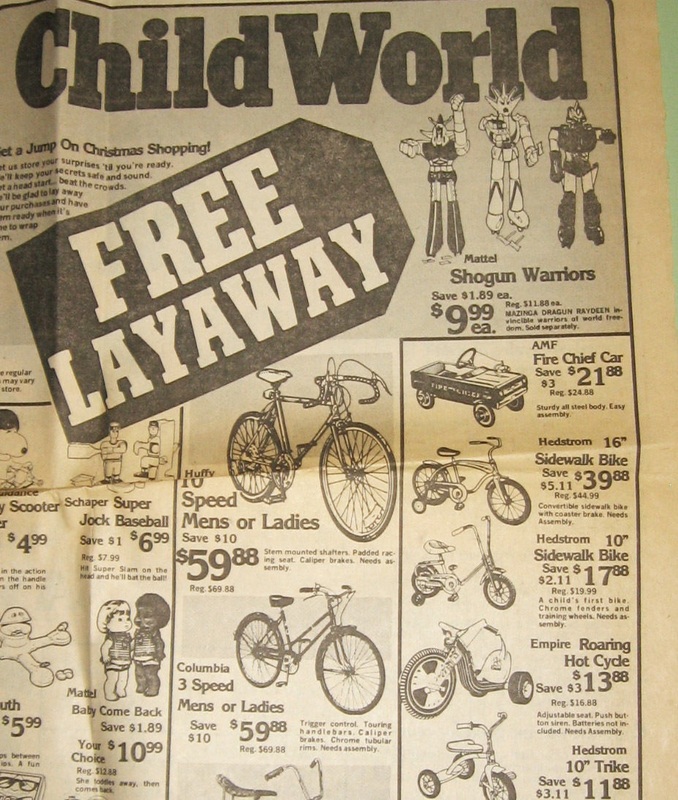 We didn’t have Child World in Southern California, but my mother did put lots of stuff on layaway. Try to explain that concept to Gen Y. 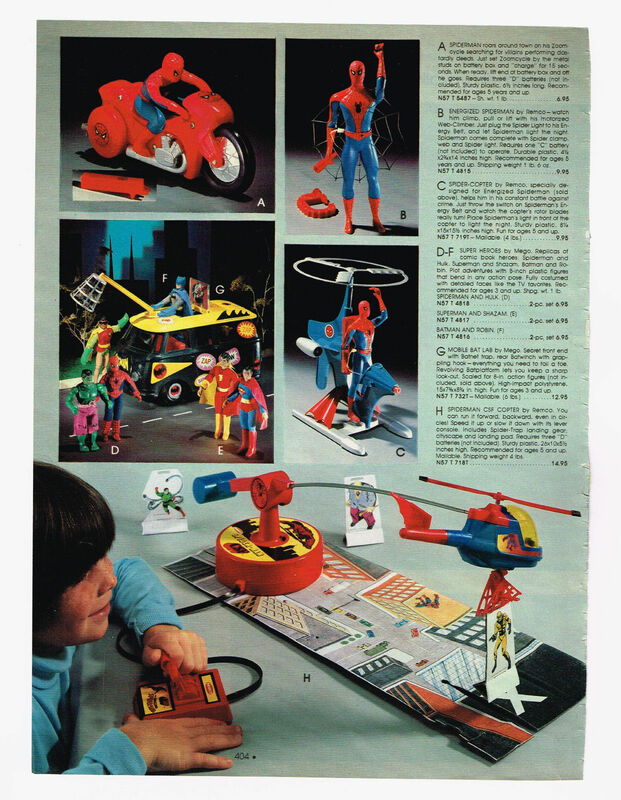 The Flying Finnegan game on the second page looks pretty sweet—for about five minutes. 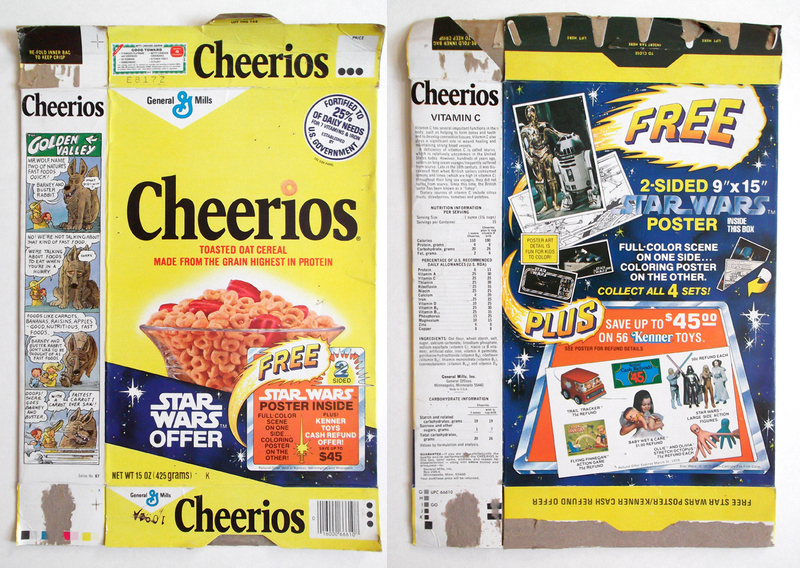 Here’s a great view of the Cheerios box appearing in the ad, courtesy of Gregg Koenig. 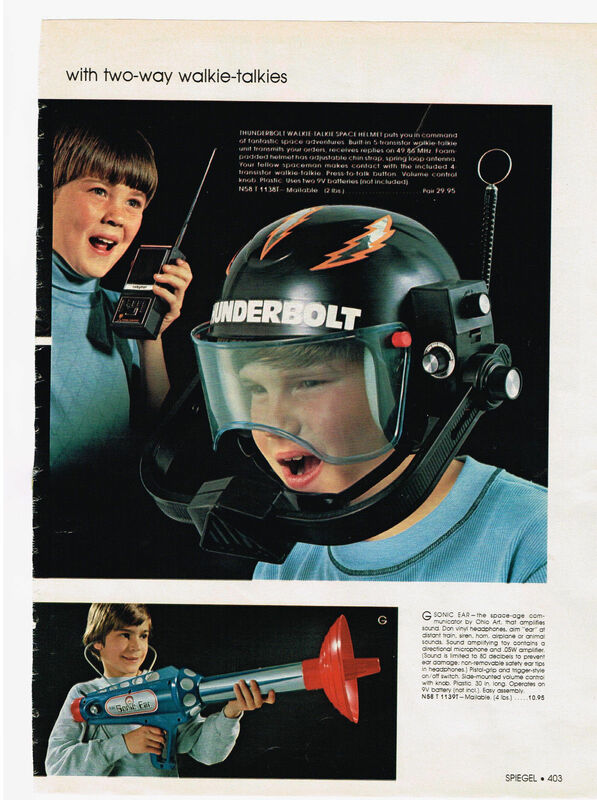 Catalog diving never gets old. 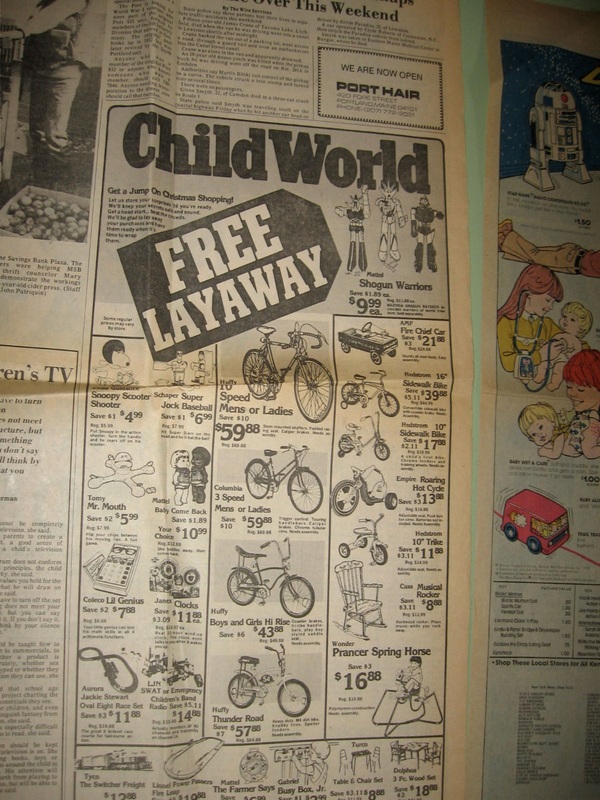 We were conditioned at an early age, and the sight and smell of these filmy, glossy pages is like the ringing of Pavlov’s buzzer. 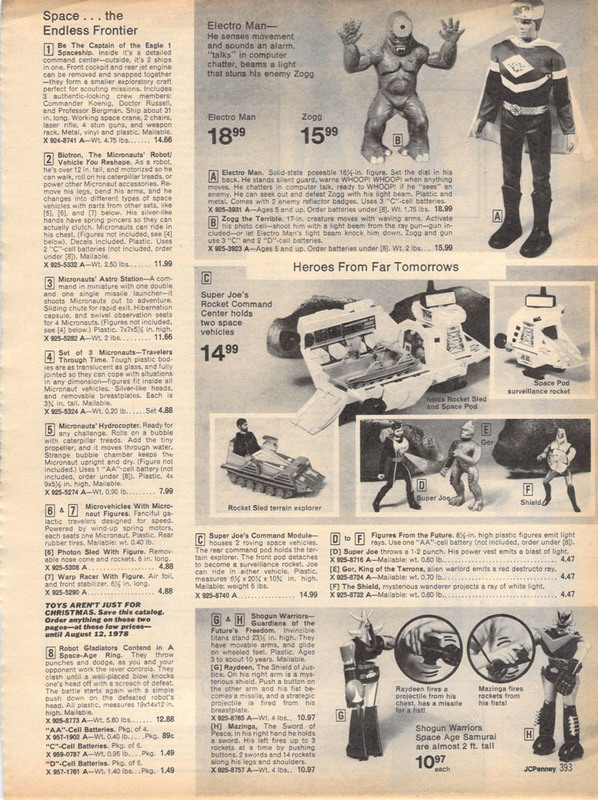 I was surprised to see that the Micronauts Battle Cruiser ($19.95) was more expensive than the Death Star ($17.95). 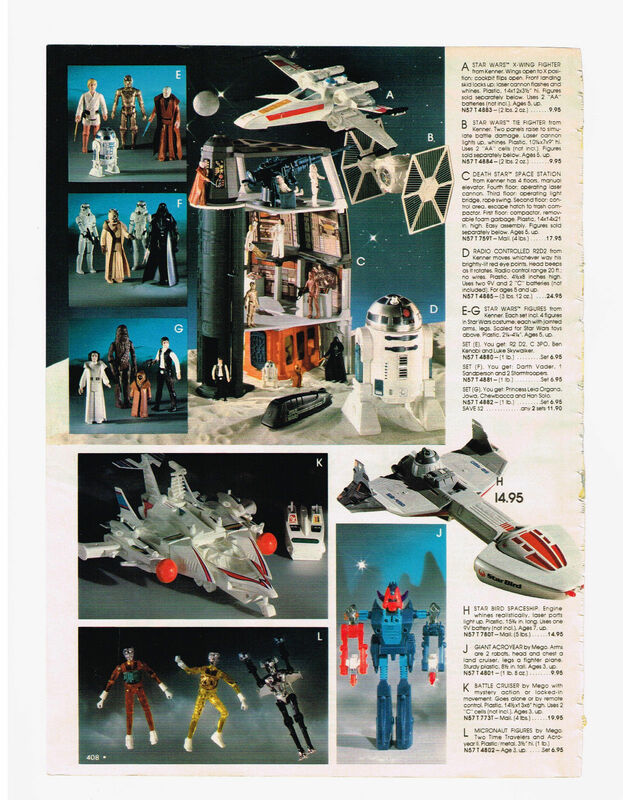 Mego just couldn’t recover after rejecting the Star Wars license, although I think the Micronauts line, even in its last throes, is more creative. 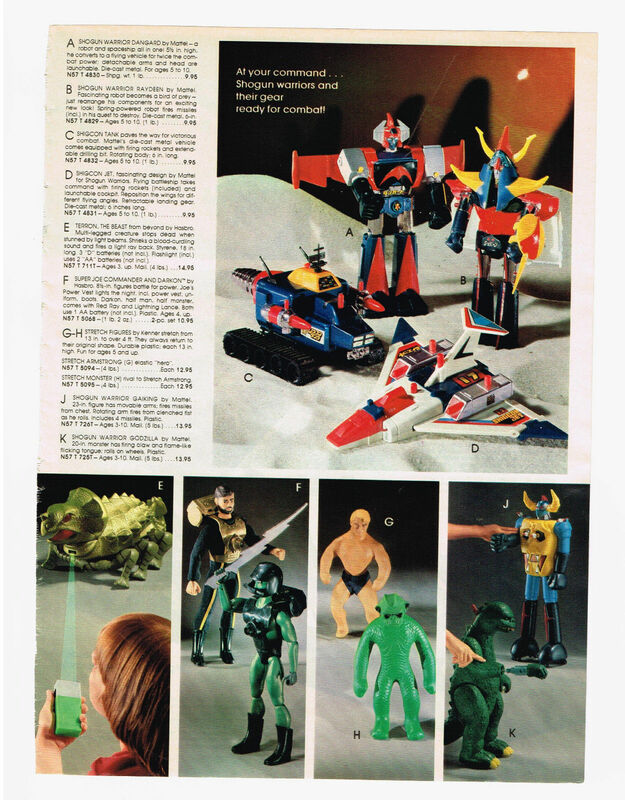 I love the Super Joe toys, including Terron, shown at the bottom of the second page. You can see commercials here and here. The “Sonic Ear” is new to me. It amplifies sound, which is pretty lame, but what a great looking gun to take into a space battle. 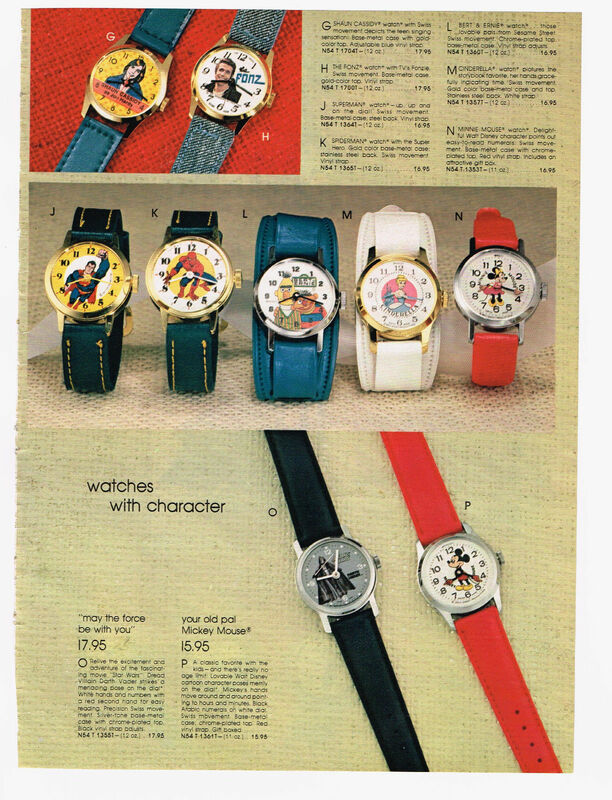 Don’t miss the Fonz watch—the strap is denim-colored, naturally—on the last page. 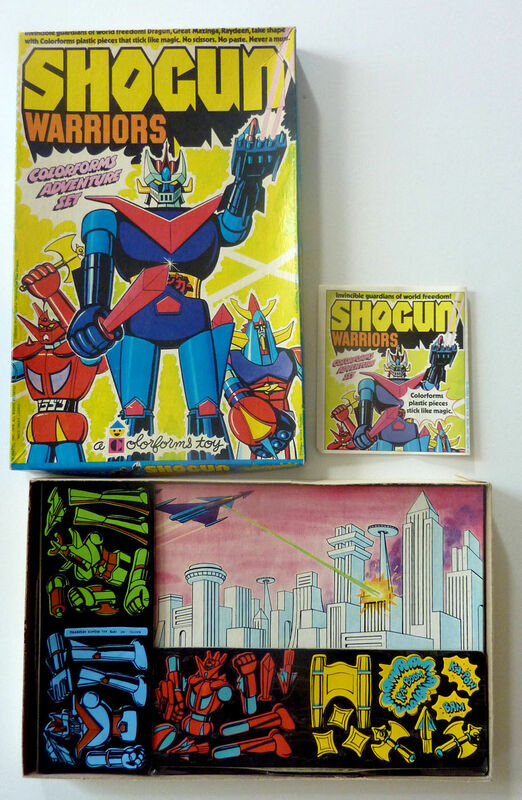 In 1980, toys from the ’50s and ’60s were considered vintage, and transformable robots like the DX Daimos (far right) were the hot new thing. 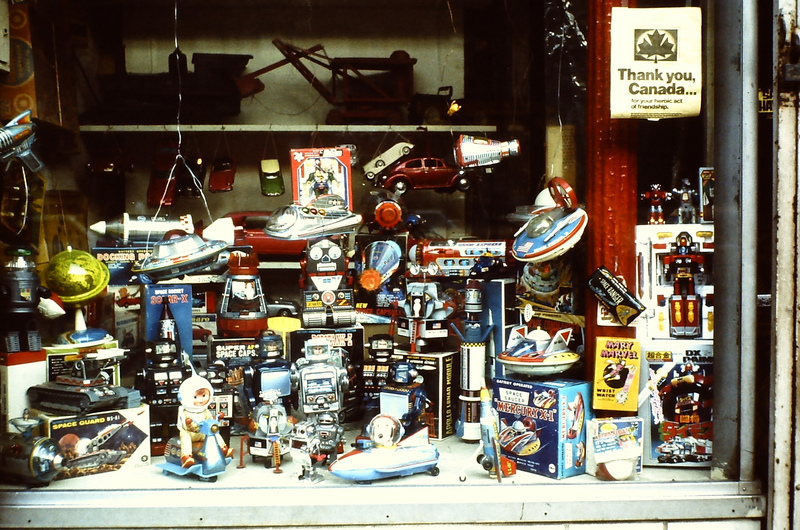 Today, toys from the ’50s and ’60s are forgotten relics, transformable robots are vintage, and the hot new thing is selling vintage toys (and replicas thereof) to 40-year-olds because kids don’t really play with toys anymore. The “Thank you, Canada” sign refers to what’s now known as the Canadian Caper, the 1979 rescue of American diplomats in Iran fictionalized in Ben Affleck’s Argo. The Eagle 1 has landed yet again. 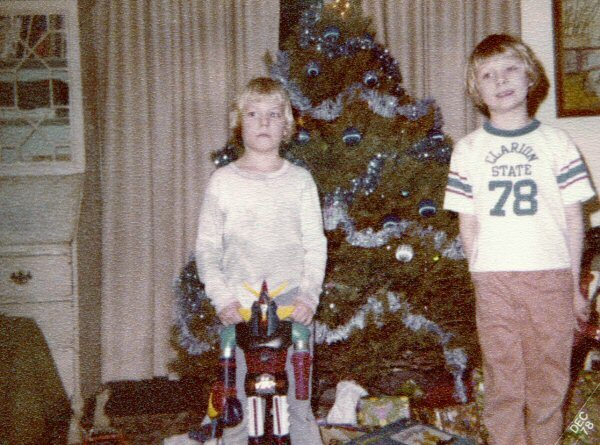 It was the space toy to have pre-Star Wars, clearly, and it’s still one of the coolest spaceships ever. I suspect many of the Eagle kids didn’t even watch Space: 1999, a frigid British series that moved about as fast as an ice shelf, but we dug anything that happened in space, and if we had some imagery and a prop or two, well, that was all we needed to riff on—for days, months, years. 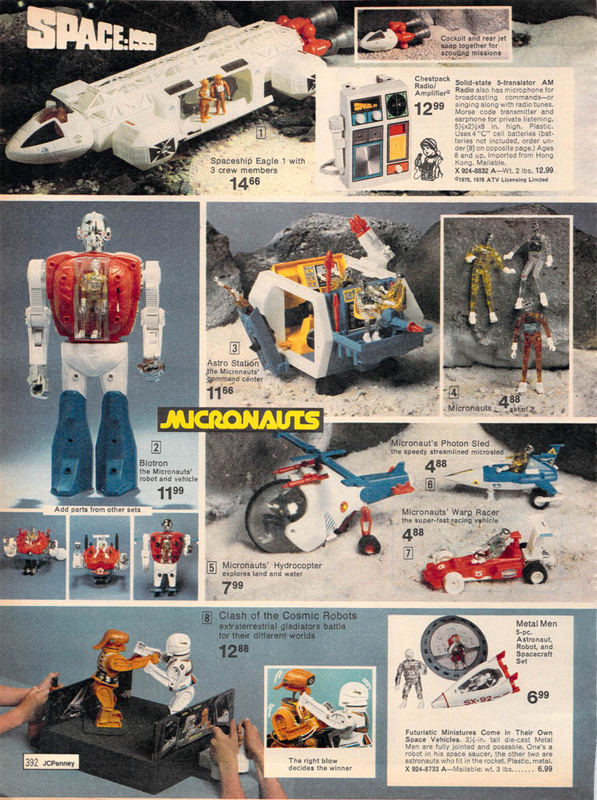 The more I see the Micronauts line, the more I realize how influential and exceptional it was. I’ve talked before about the lack of a back story making them more exotic and attractive. In fact, they’re downright strange, as translucent beings from “the endless frontier” should be. The catalog describes them as “fanciful galactic travelers… fully jointed so they can cope with situations in any dimension.” I love it. 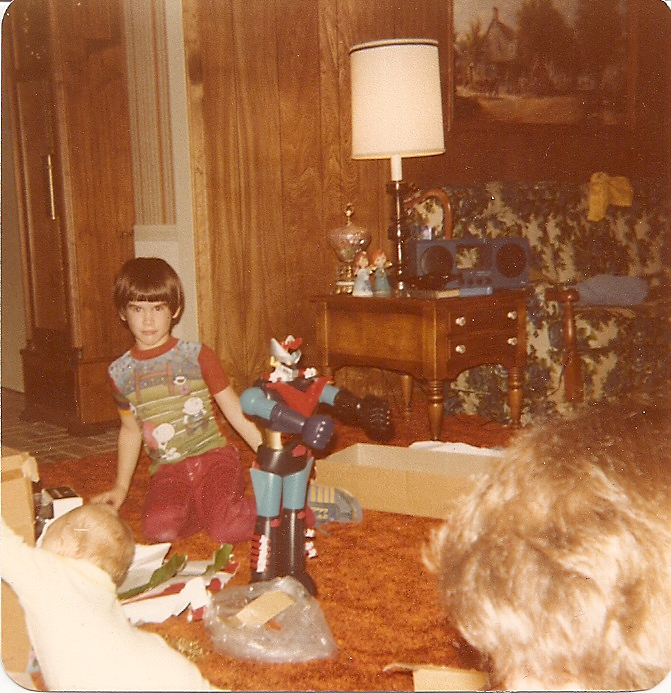 I had the Astro Station. 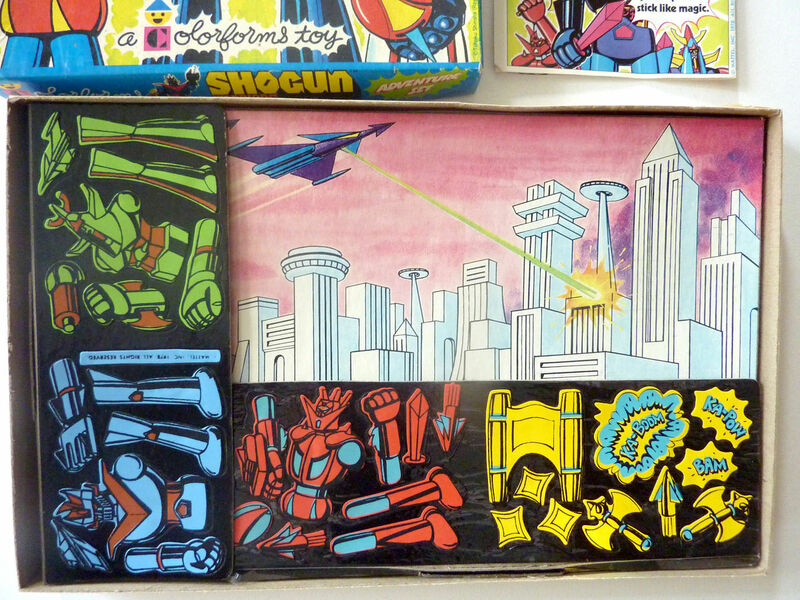 These missiles, and Micronauts missiles in general, were the best (i.e. 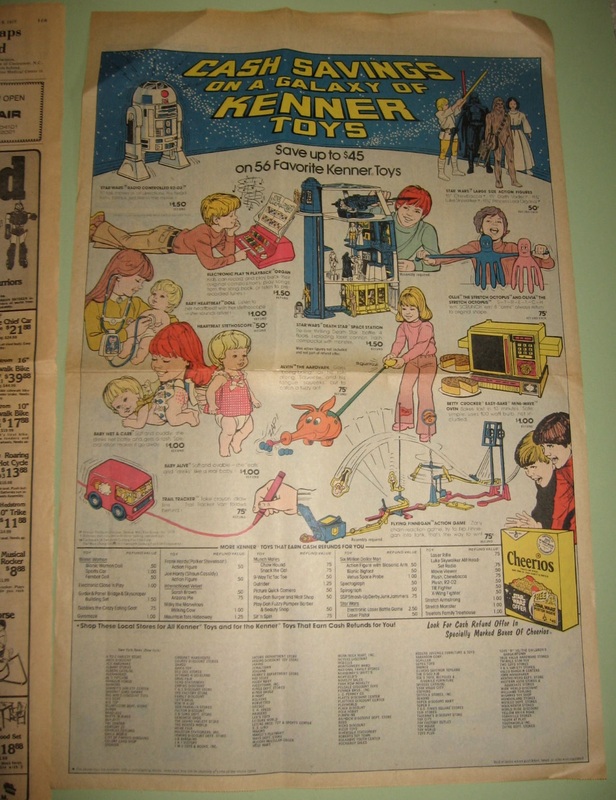 fastest, truest, heaviest) in the toy universe, and the launchers were detachable, so you could mix and match with other toys. 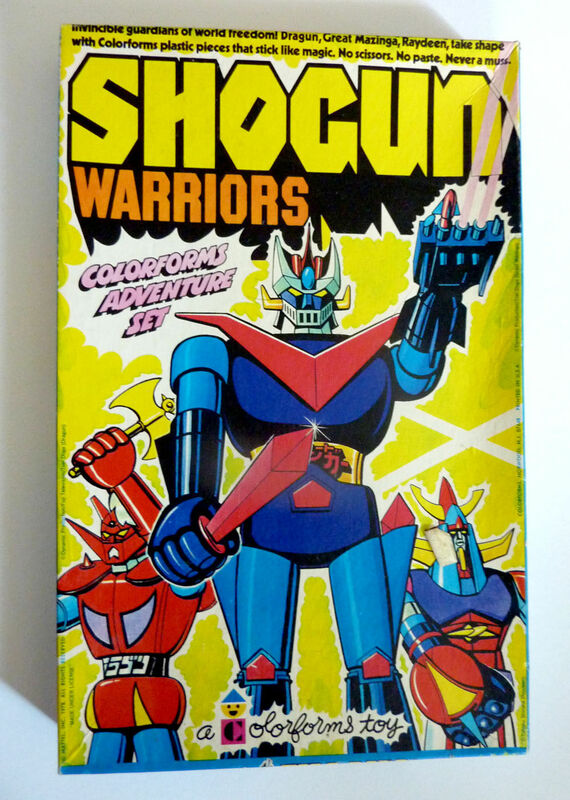 The Shogun Warriors never did much for me, but they were tall and their fists shot off. I guess that’s something. I don’t know the exact year, but the Dukes of Hazzard poster puts us between 1979 and 1985. 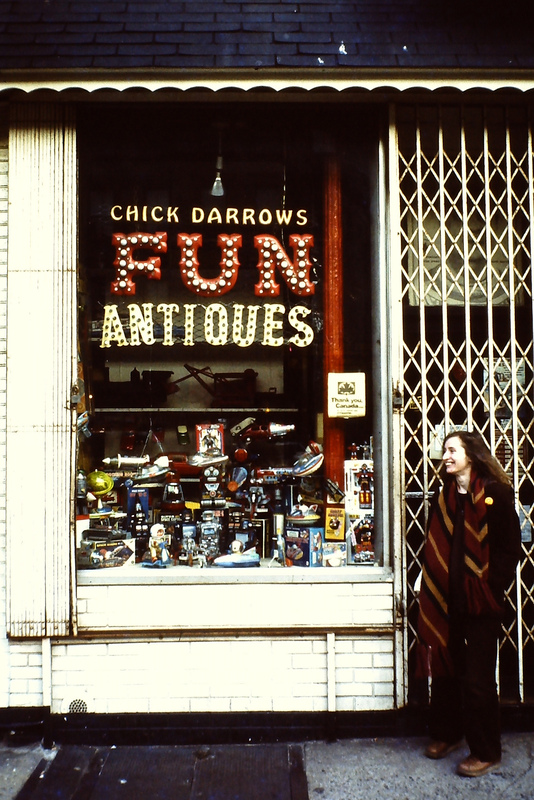 In the first photo (click to enlarge), there’s not too much I can make out. 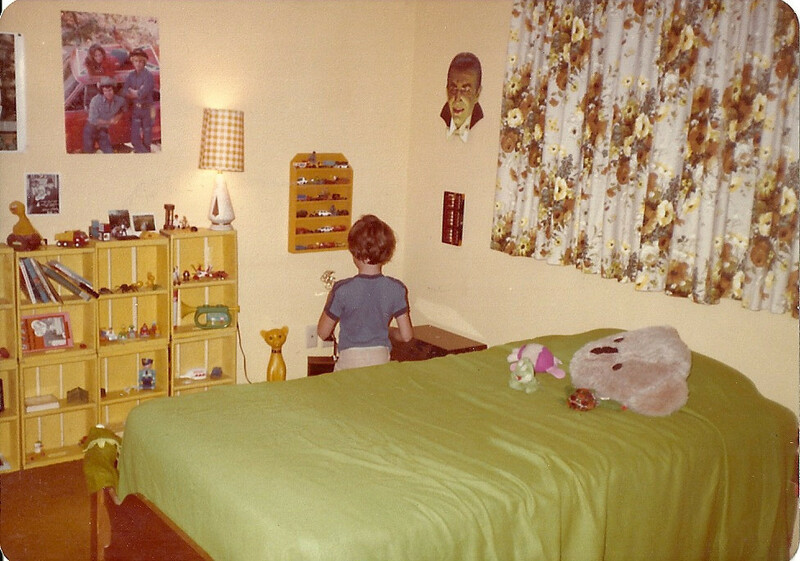 The Bela Lugosi head, obviously, a weird koala bear pillow, some Matchbox cars. 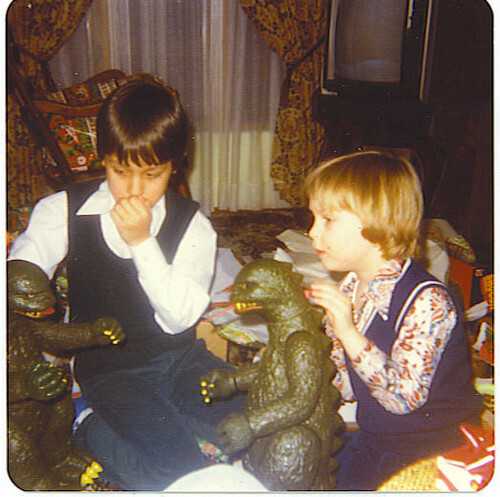 There’s a signed black and white photo on the wall, but I can’t identify the figures. The second photo is a gold mine. 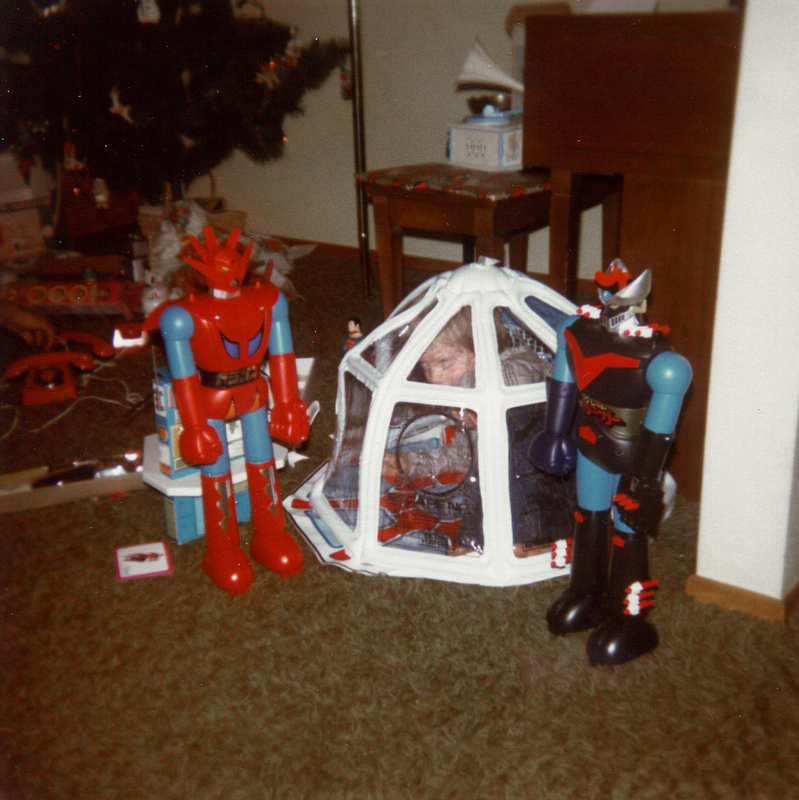 Godzilla, Shogun Warriors, one of those safes with the combination lock that most of us had, a Boba Fett doll. That’s Tomy’s Digital Derby in one of the yellow cubes, and a better shot of the black and white photo. Is it the Three Stooges? 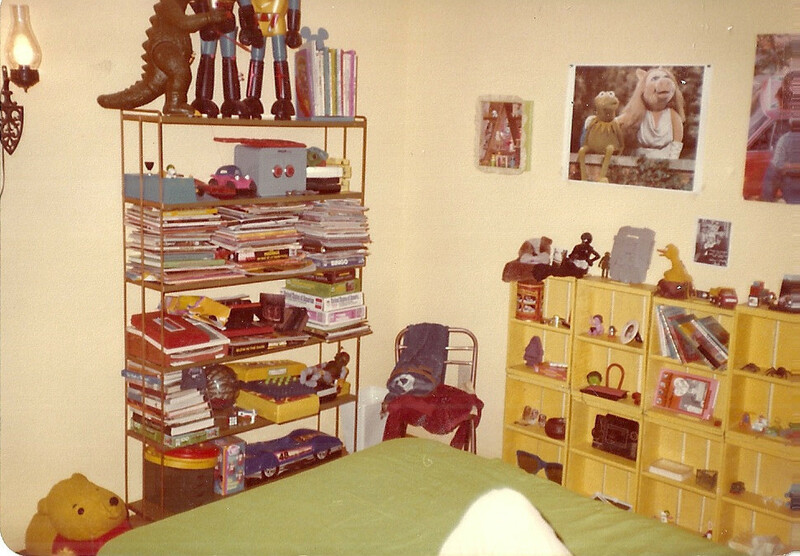 And is that the back of Galaxian 2 on the top shelf of the bookcases?